Andrei Rublev was considered to be one of the greatest Russian medieval painters of Orthodox frescos and icons. His authenticated work was all carried out in the 15th century and he was canonised as a saint by the Russian Orthodox Church in 1988. Andrei Tarkovsky took up the challenge of documenting his life on film, spending two years writing the script with Andrei Konchalovsky and researching medieval history. Divided into eight chapters, with a prologue and epilogue, Andrei Rublev is epic in many ways. The film begins with Andrei (Anatoly Solonitsyn) leaving Andronikov Monastery, roaming the countryside searching for work with fellow monks and painters Daniil (Nikolai Grinko) and Kirill (Ivan Lapikov). 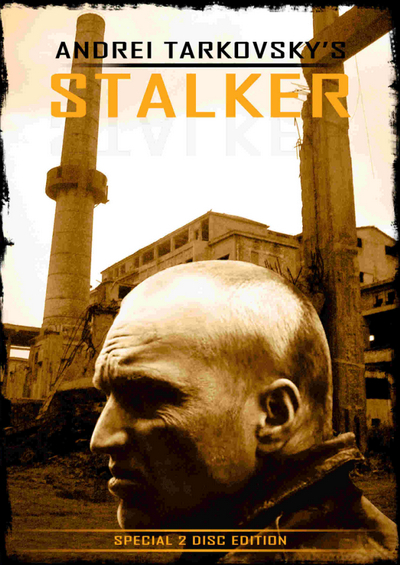 Over the next three hours Tarkovsky charts their separate paths in the lives of three very different characters, through famines, wars, poverty, fame and crises of faith. 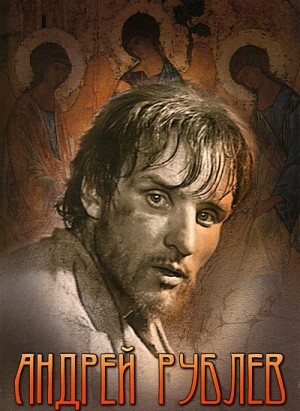 Andrei Rublev is a staggering feet of cinema. It’s undoubtedly Tarkovsky’s masterpiece and most meditative and strikingly beautiful film. 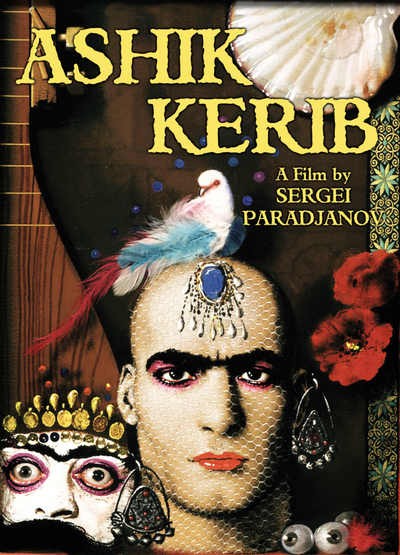 By opinion poll of the members of the European Academy of Film and Television (1995), this motion picture was recognized one of the world’s ten best films (8th place). 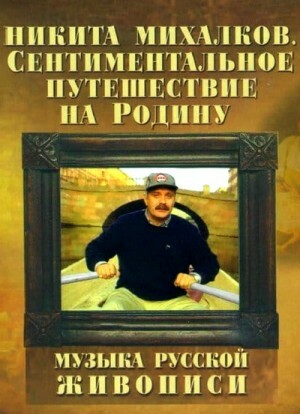 Its original title – "The Andrei Passion". The film about naive painter Pirosmani was one of Shengelaia’s earlier movies but is nevertheless widely considered among his most important works. Nikoloz ‘Niko’ Pirosmanishvili was a Georgian painter active around the turn of the 20th century and is considered an important representant of naive art. However, like many artists growing up on the countryside, he was discovered very late and lived a big part of his life in poverty. 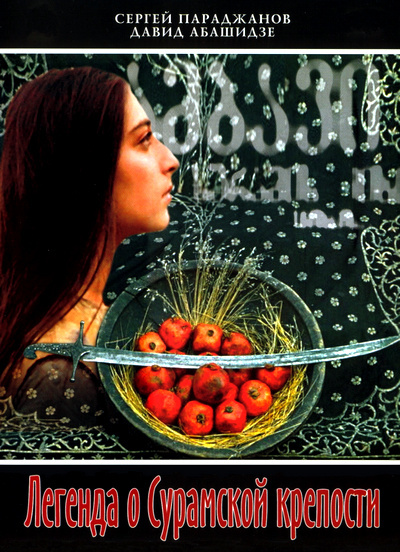 In Pirosmani, Shengelaia shows the audience the tragic tale of a man who does not find his place in society. At the same time, it is also a movie told through images. 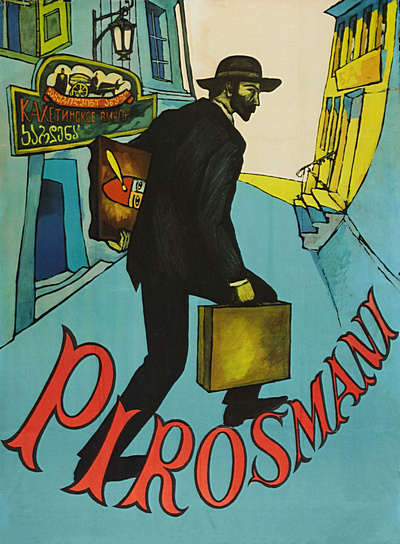 In short episodes that are introduced by paintings of Pirosmani, we follow the protagonist walking down from one end of the frame to the other, searching for a place where he is welcome. The protagonist manifests his talent by painting out walls, letterings or paintings that ornament the many restaurants of Tbilissi, Georgia’s capital. The world that Shengelaia depicts in his movie is over-shadowed by a strong feeling of melancholy. In spite of the fact that most scenes are set in restaurants, wine celllars and at feasts, the audience is exposed to a sad and desolate world that lacks true communication. The protagonist is not following a clear goal; he is searching for understanding that in the end remains uncommunicable. Accepting his fate, we see Pirosmani crouched down in the end of the movie, rejecting the world he was rejected by. A feature by Elem Klimov made from the script by Ales Adamovich. 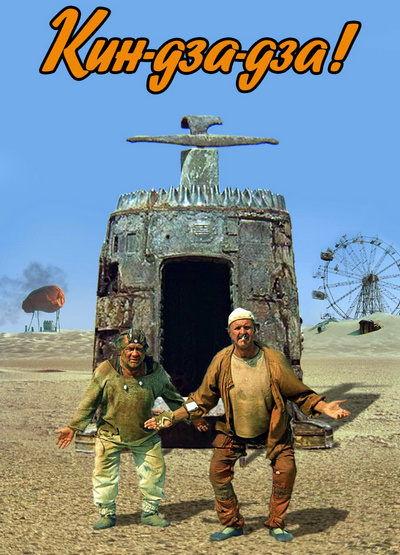 It was released in 1985 and ranks among the most horrifying war films. It's not only about the war of 1941-1945 exactly, but about any war, its devastating force sweeping away the natural course of things. 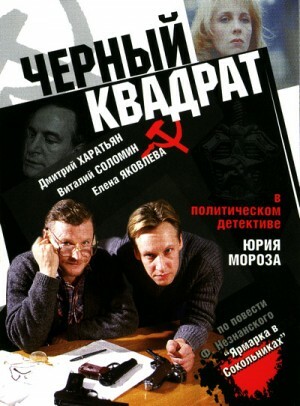 The film is based upon documental facts and "The Khatyn Story" by Ales Adamovich. The authors describe the place and events which became a symbol of national tragedy. 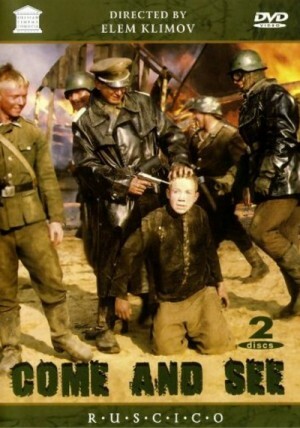 The hero of the film is Flyora, a sixteen-year-old boy that turned to the woods to help the partisans. At the beginning he is just a kid. Then he lives through the horror of the Nazi executions and becomes amazingly grown-up, and even old. The war had distorted the once tender childish facial features - it's all wrinkles now. The altered face of Flyora is the face of War. The authors were so true-to-life, uncompromising and austere as to portray in the centre of the film not some grown-up man, but an unexperienced kid with his childhood still here. 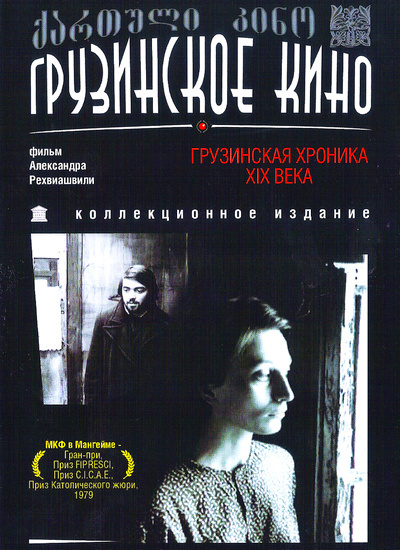 A political thriller based on Friedrich Neznansky’s book “A Fair in Sokolniki”. The author of this unique art project, Nikita Mikhalkov, presents to the viewers the works of his favorite 19th-century painters. We shall see a whole panorama of artistic trends and tastes of the period, learn about amazing life stories of the painters and their subjects, the history of creation of the masterpieces of Russian painting, and get a broad picture of Russian culture, particularly the culture of painting. Thanks to a deeply personal, involved presentation of the material, a lively, ingenuous intonation, the paintings of the talented Russian artists will come so close to us that we’ll be able to hear “the music of Russian painting” and understand what perhaps was hidden due to our, sometimes superficial, momentary perception. And, as a result, get a gratifying sense of association with the unique heritage of our great country and the proud feeling of being part of its great people and history. 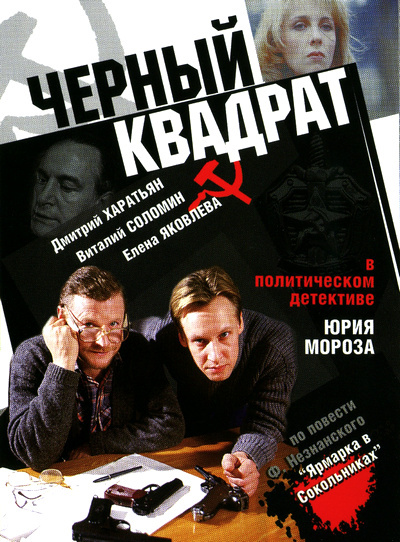 This project is, undoubtedly, a momentous cultural and civic act, even a heroic endeavor of N. Mikhalkov, aimed at promoting the national self-consciousness. The Legend of Suram Fortress is a richly textured, inimitably iconoclastic, startlingly vibrant, and elliptical yet poetic and intrinsically cohesive tale of sacrifice, captivity, and the fickle mutability of fate. This film is in memory of the Georgian warriors of all times who had given their lives for their country. It is based on an old Georgian legend: Preparing to defend their country from the onslaught of foreign conquerors, people started building a fortress, but each time the wall had reached the roof level, it collapsed. "The wall will hold if the most handsome young man is immured in it," predicted a fortune-teller. And forward stepped a young man who was ready to sacrifice his life for his country. Thanks to that self-sacrifice, the fortress was erected, and nothing and no one could ever destroy it.